Clive Hamilton is an author and Professor of Public Ethics at Charles Stuart University and Centre for Applied Philosophy and Public Ethics in Australia. He has been writing about the ethics of climate change, and climate denial. Developments in climate science have revealed a natural world so influenced by human activity that the epistemological division between nature and society can no longer be maintained. When global warming triggers feedback effects, such as melting permafrost and declining albedo from ice-melt, will we be seeing nature at work or human intervention? The mingling of the natural and the human has philosophical as well as practical significance, because the “object” has been contaminated by the “subject”. Climate denial can be understood as a last-ditch attempt to re-impose the Enlightenment’s allocation of humans and Nature to two distinct realms, as if the purification of climate science could render Nature once again natural, as if taking politics out of science can take humans out of Nature. The irony is that it was Enlightenment science itself, in the rules laid down by the Royal Society, that objectified the natural world, putting it on the rack, in Bacon’s grisly metaphor, in order to extract its secrets. We came to believe we could keep Nature at arms-length, but have now discovered, through the exertions of climate science, something pre- moderns took for granted, that Nature is always too close for comfort. For more see his book, Requeim for a Species, or his related talk at the UK’s RSA – Facing up to Climate Change. Victor Galaz‘s post Machine Fetishism, Money and Resilience Theory reflected on Alf Hornborg‘s recent paper Zero-Sum World: Challenges in Conceptualizing Environmental Load Displacement and Ecologically Unequal Exchange in the World-System, in which, among other things, Hornborg presents a partial critique of what he calls “the gospel of resilence” – resilience theory and adaptive management. There have been many comments on Victor’s post, including responses from the paper’s author. To highlight this discussion, I’ve hoisted some points from the comments on that post. At the most general level, the rhetoric on social-ecological resilience is framed in terms of a nomothetic search for the functional principles of socio-ecological systems (SES), as if human ecology was analogous to medicine. SES are approached like biological systems with processes of adaptation and change that can be studied from a detached, objective position. The recurrent aim is to increase our “understanding” of how SES actually function, as if more data and better models could improve our management of these systems (again, analogous to medical practice). Rather than try to develop a conspicuously and naively non-political cybernetic etiology of socio-ecological degradation – based on the assumption that such processes, irrespective of capitalist extractivism, are universally patterned, predictable, and potentially manageable – I challenge resilience theorists to address the operation of the global economic system that is the very obvious source of such processes. The attempt to provide an abstract vocabulary for describing SES often cries out for empirical examples that might get the discussion grounded in the real politics of human-environmental relations. For example, when it is argued that we must define on which scales agency is located and how an increase or decrease of scope for agency at one level influences agency on other levels, we need to consider a concrete case in order to assess whether the concept of resilience is really the most useful way of accounting for what actually seems to be a (rather well understood) problem of power. Is “path dependence” so much better than various understandings of cultural, social, political, and generally structural problems of inertia and conservatism? What do we gain by rephrasing environmental conflict and armed resistance as “regulation”? How can we hope to predict and manage the abrupt surprises and discontinuities implied by notions of “critical thresholds” and “flipping”? Why should concepts such as “non-linear dynamics”, “disturbance”, “opportunities for innovation”, “adaptation”, and “renewal” provide a better way of understanding what Joseph Tainter and many others for decades have recognized as socio-ecological collapse? What are, quite frankly, the discursive/ideological benefits of subsuming social systems within the vocabulary of natural science? I find it hard to respond to this critique because I do not recognize my work or that of my colleagues in the Resilience Alliance in Hornborg’s characterization of resilience thinking. Resilience is a broad, multifaceted, and loosely organized cluster of concepts, each one related to some aspect of the interplay of transformation and persistence. Thus, resilience does not come down to a single testable theory or hypothesis. Instead it is a changing constellation of ideas, some of which are testable through the usual practices of natural or social science. Although particular ideas may be rejected or supported, the program of research on resilience itself is evaluated in a different way. As long as resilience thinking produces interesting research ideas, people are likely to pursue it. When it seems empty of ideas, it will be abandoned or transformed into something else. Neither ecosystems nor society are super-organisms – and therefore most resilience researchers do not think that medicine or health are good metaphors for managing, manipulating, or understanding ecosystems. Resilience thinking takes a subjective rather than objective view of systems. Being founded in systems theory, it aims to articulate the subjective perspective from which a system is analyzed to assist in the mapping and translating between multiple perspectives. I believe that more data can help us make the world more sustainable. Data can show where theory is wrong, identify new problems, and suggest new ways of doing things. Science and society don’t know how to create a sustainable society – consequently I believe we need to experiment, monitor, and observe to build a better world. I don’t think resilience research lacks case studies. Researchers in the Resilience Alliance has worked on a lot of case studies. 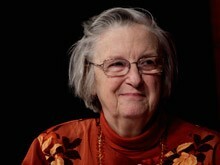 Ellinor Ostrom in particular has done a lot of compartive case studies. The goal of my research is to help people make better decisions under conditions of uncertainty. I want to better understand the dynamics of human dominated ecosystems – or social-ecological systems – not “subsum[e] social systems within the vocabulary of natural science”. I am very interested in how people interact with ecosystems and I have tried to read and collaborate with a broad set of social and natural scientists to better understand social-ecological dynamics. As far as I know, none of the various social scientists I have worked with want to subsume the social sciences within the natural sciences but rather create new ways of understanding these linked systems, especially how they cope with change and surprise. Path dependence is a shorthand way of describing these things. The term is general and not a term produced by resilience researchers. That’s what resilience research is all about. There is a lot of active research on predicting “flips” (one recent example), with lots of papers being published on it in the last few years. While non-linear dynamics and disturbance and general terms from math and ecology, the other concepts are exactly what some resilience researchers have added to Tainter’s analysis. Many resilience researchers are interested in how to avoid collapse and actively transform systems to new better states. 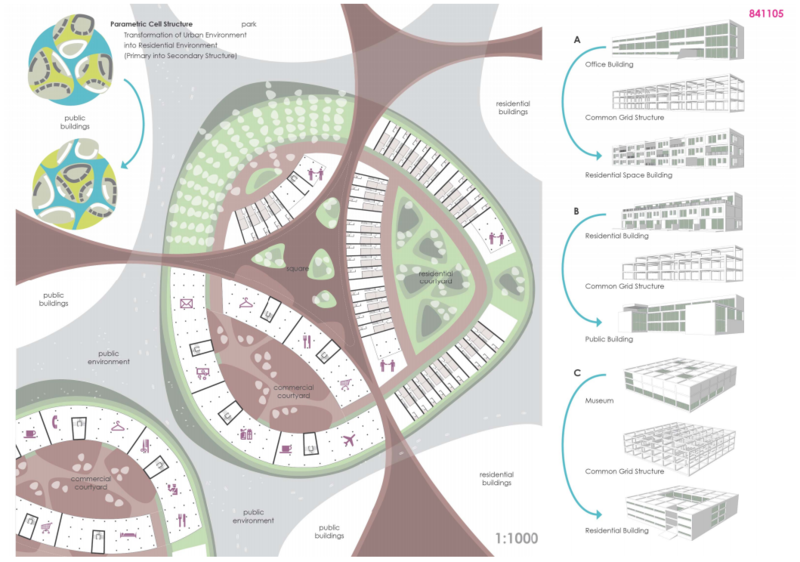 These concepts are new additions to our exploration of social-ecological systems. Resilience researchers believe that because living in a human dominated biosphere, in which our way of life is destabilizing the ecological systems that stabilize our life support systems, learning how to be resilient to shocks and surprise are useful and important research goals. I do this type of research because, I want to contribute to making human impacts on the biosphere positive rather than negative, and doing this requires a better, richer, understanding how social-ecological systems actually work.